There’s been a lot of excitement and demand for the first Android Wear watches, despite their obvious flaws. But while you can live with a display you can’t see in direct sunlight, you cannot live with a device that literally corrodes while you’re wearing it — and that’s exactly what’s happening to the LG G Watch for a small number of users. “Been wearing the G Watch since it arrived on the 7th,” reports “editorkid” on the Android Central forum, but after a two-hour hike in Chicago at 85°, the charging contacts on the back of the device began to corrode. “The top and middle contacts were so corroded that the watch wouldn’t charge in its cradle until I scraped some of the corrosion off,” the user added. Other users around the web are reporting the same issue, and while it doesn’t appear to be affecting every G Watch, it’s certainly a problem that needs fixing. For some, the corrosion has become so bad that they can no longer charge their watch at all. Perhaps the most concerning thing for G Watch adopters, however, isn’t the issue itself, but LG’s refusal to accept blame for it. Many have contacted the company in the hope of getting a replacement, but it seems that in most cases, LG is not willing to help. 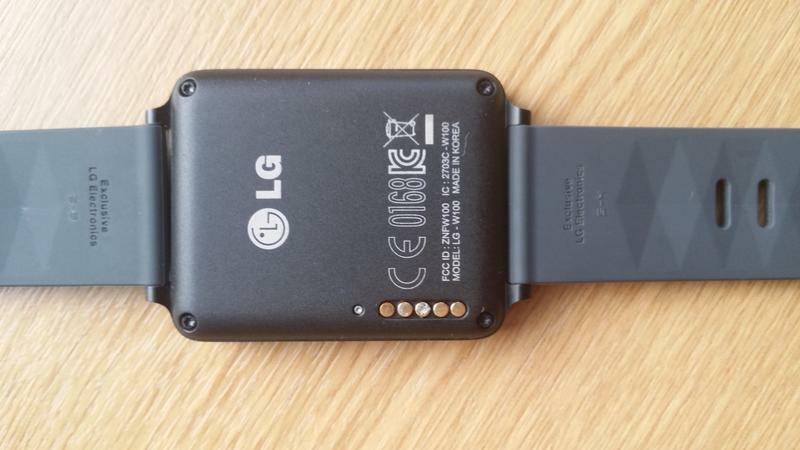 Some users are now covering the G Watch’s charging pins with insulation tape before they put it on, while others have purchased new straps that go through the back of the device and prevent them from making contact with skin. But these aren’t workarounds you expect to be making when you spend $160 on a watch. It’s still unclear at this point whether the corrosion is caused by a skin allergy or simply sweat, but LG needs to acknowledge there is a problem and fix it — fast. We’ve contacted the company for clarification of its position and we’ll update this post when we get it.